Do you remember the 7 days training we held in April? You can refresh your memory here. From the 17 to the 19 of May our participants gathered for a 3 days training in Ljubljana. In this second stage of the project, they had to use all the knowledge of global education and international volunteering they gained previously in order to plan future activities. We remind you that the aim of this training was to organise workshops in schools, youth centres outside Ljubljana; to inform young people about opportunities in the field of international volunteering, the importance of non-formal learning and competence acquisition through international volunteering, with an emphasis on the opportunities for youth participation in the ERASMUS + programs. How was the second part of the training? 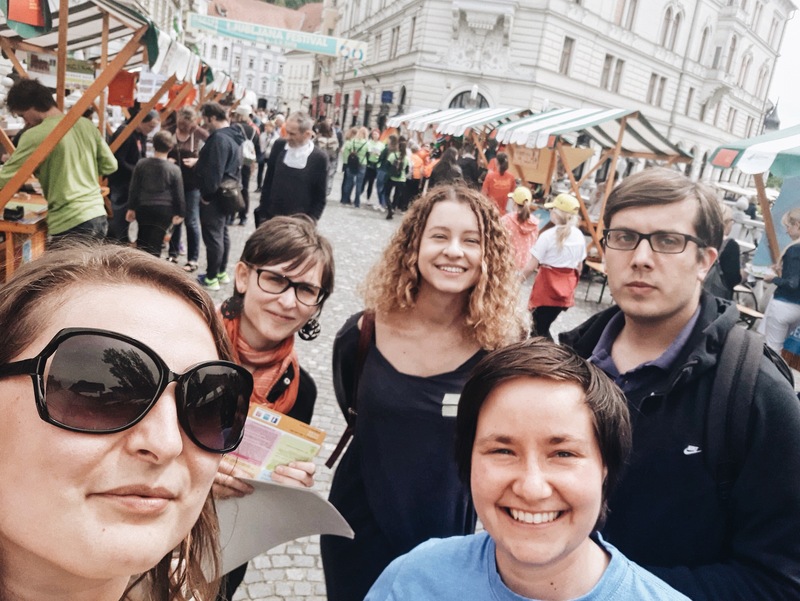 During the 3 days the participants worked in groups, brainstormed, shaped the future workshops, promoted volunteering on the streets of Ljubljana. On the last day, divided in 3 groups, they run workshops for the participants and outsiders. They got inspired, learned from each other’s mistakes and now they are ready to act! Also, they collected the last badge to prove that they are ready to go to schools. P.S. If you would like us to come to your town or you have some ideas to suggest regarding the workshops, contact us.